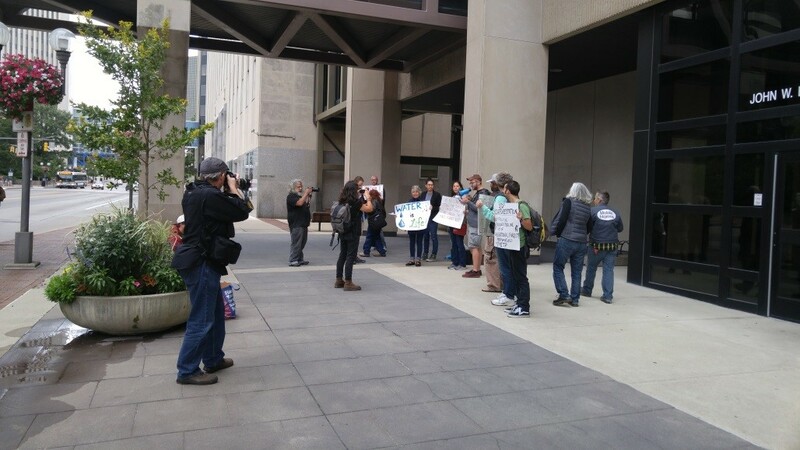 National anti-fracking groups spent weeks advertising the “three massive rallies against fracking” held this past weekend in Cleveland, Columbus and Marietta. But EID was on the ground in all three locations and can confirm the entire “Ohio-wide” effort garnered a total of just 47 protesters, despite being hosted by major national Keep It In The Ground groups such as 350.org, Sierra Club, Earthworks, Food & Water Watch, Friends for Environmental Justice, Foundation for Economic Democracy and Appalachia Resist!. 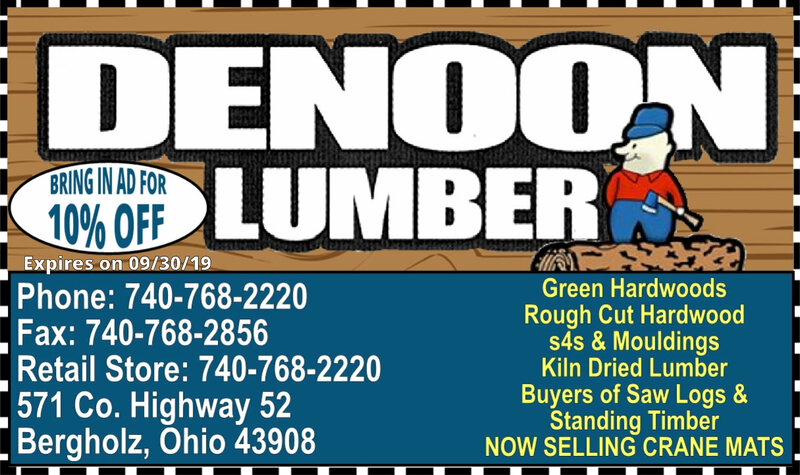 The pathetic turnout is all-the-more notable considering Earthworks and the Sierra Club flew campaign organizers across the country a few weeks ago to help motivate and organize protestors for these “massive” Ohio rallies. Earthworks campaigner Ethan Buckner even flew in all the way from Oakland, Calif., in July in an attempt to motivate the base to show up for these rallies, no doubt burning a lot of fossil fuels in the process, as the following map illustrates. 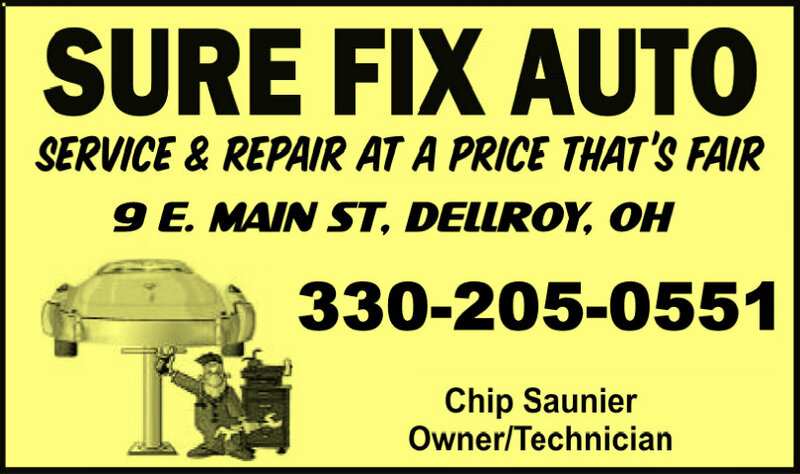 But such efforts proved fruitless, and coming on the heels of a string of similar disappointing events in the Buckeye State this year, this weekend’s events were no doubt the biggest epic fails of the Ohio anti-fracking movement to date. 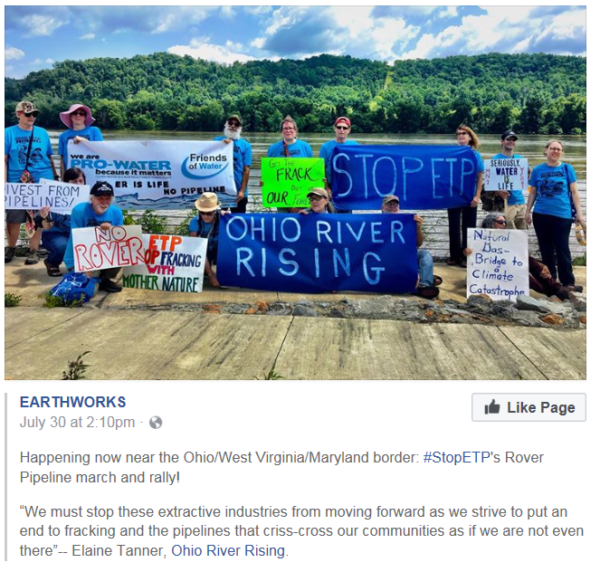 Back in July, Earthworks — one of the most aggressive “ban fracking” groups nationwide — posted this picture on social media to launch its “massive” #stopetp campaign, which included rallies in Cleveland, Columbus, and Marietta Sept. 8 and 9. However, the only thing that was “massive” about this rally was the level of disappointment the organizers must have felt about the turnout. 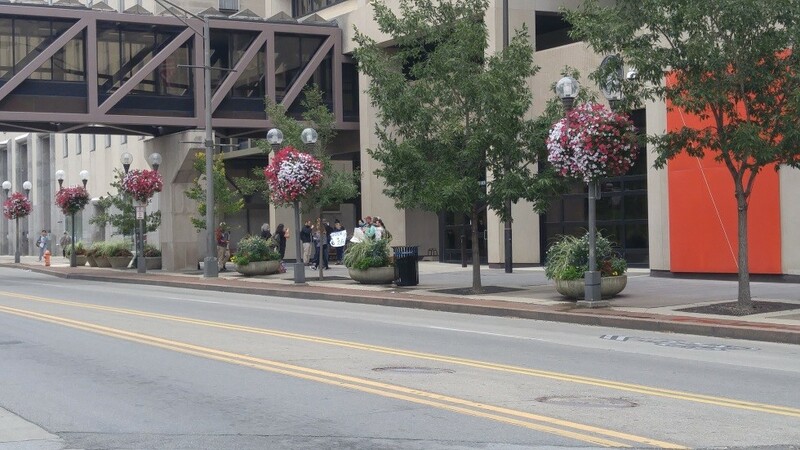 As you can clearly see, there were a total of 12 people who attended the “massive” Columbus rally. 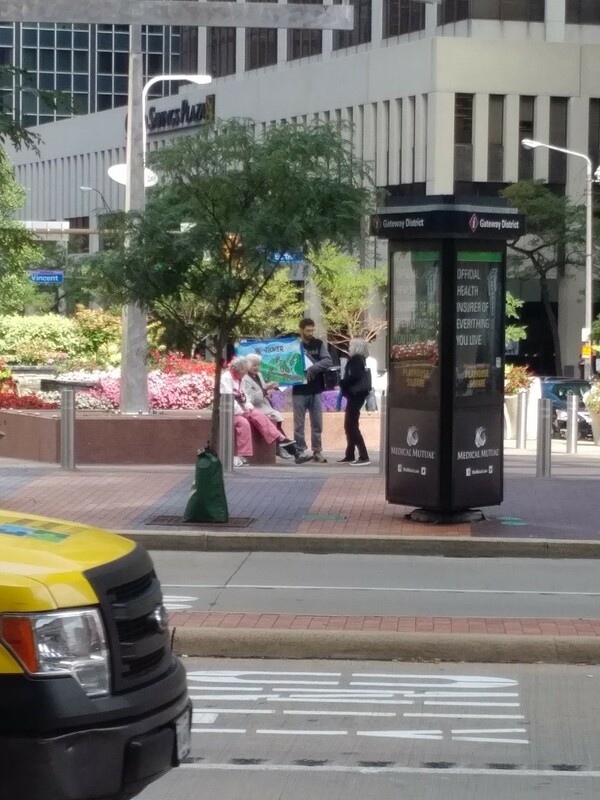 In an effort to further misrepresent their failed Ohio events — and likely to use the footage as a fundraising tool to pretend their efforts are actually relevant (no actual media covered the event) — the activist photograph pictured above had no choice but to incorporate Columbus tourists on Segways into the picture below to try to give the appearance of a larger turnout. Photo posted publicly on Facebook by Ralph Orr. 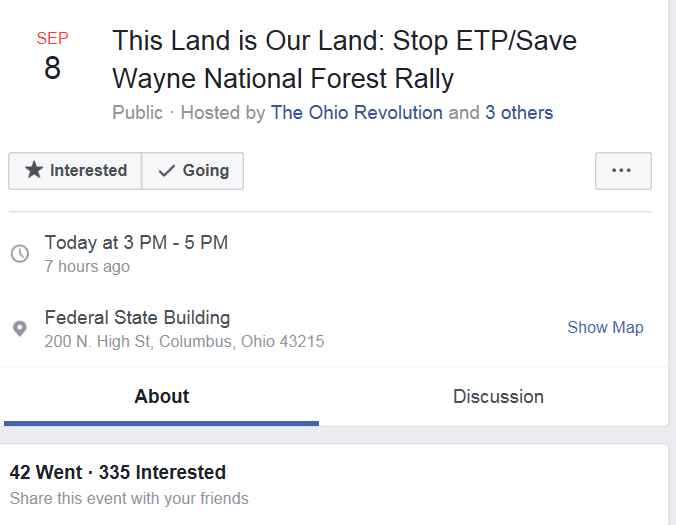 The following activist social media post would have you believe that 42 people “went” to the Columbus event, but the reality is that this inflates the rally’s actual attendance by more than 70 percent. The second “huge” rally was held outside of PNC Bank in Cleveland and was even more pathetic than Columbus. In fact there were only three protestors at the rally most of the time, with attendance eventually swelling to a whopping 10 protestors at its peak. 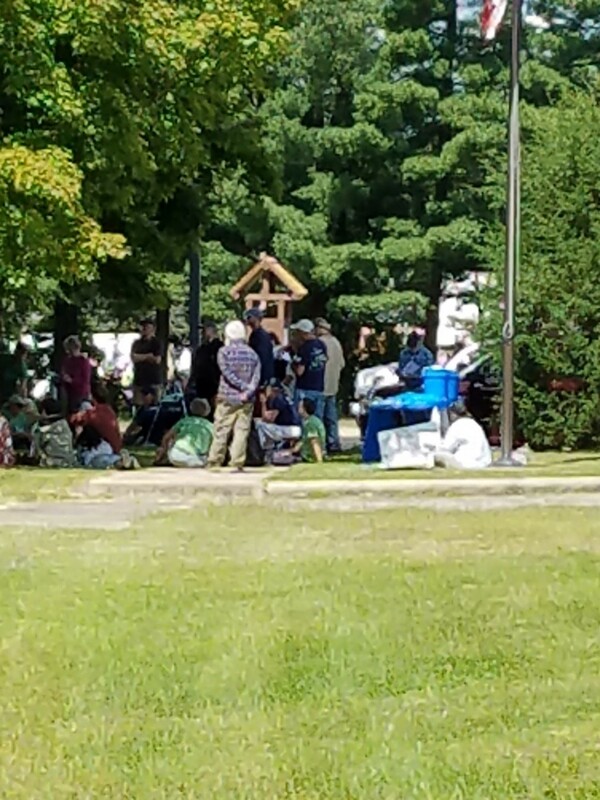 Take a look at the following photo and video captured by onlookers to clearly see just how dismal this anti-fracking protest was in northeast Ohio. 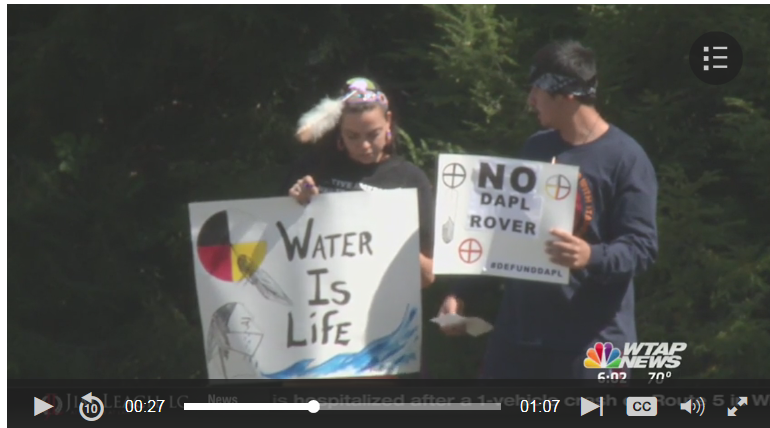 The third “massive” rally took place on Saturday afternoon at the Wayne National Forest Ranger Station in Marietta. 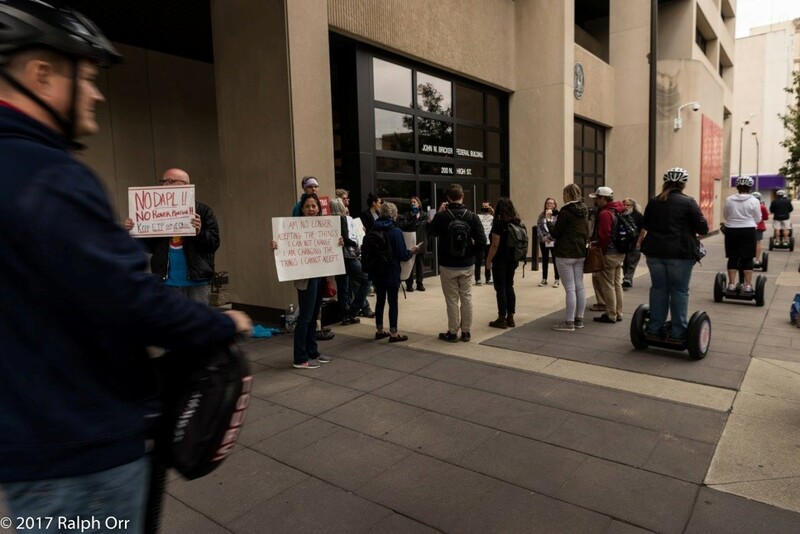 This protest of the upcoming federal mineral lease sale later this month featured a whopping 25 people. The reason this protest had the most participants of the three weekend events has a lot to do with the fact that Sierra Club flew in organizers to boost attendance. The event was planned by the same fringe environmental activists group that welcomed the aforementioned Earthworks organizer from California to prepare for the protest. However, despite those efforts, the majority of the protesters at this rally were out-of-state activists. 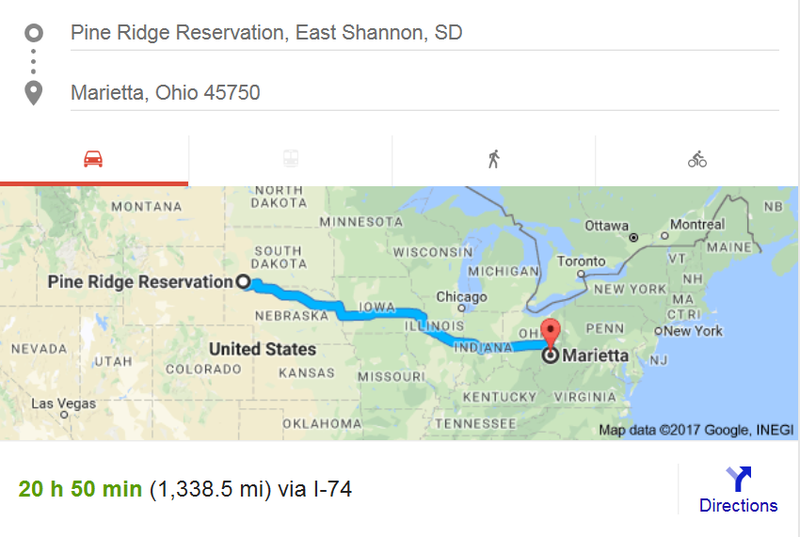 To put into perspective just how far Green travelled, take a look at the map below. 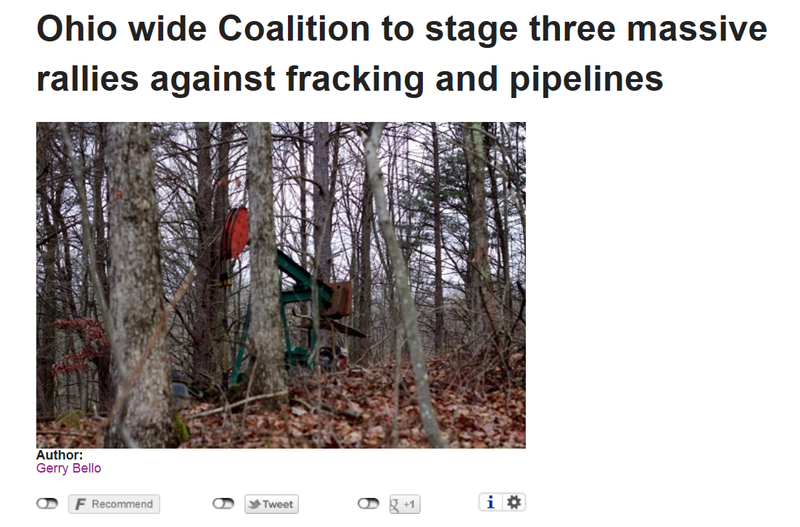 As the documented reality these three “massive” events illustrates, the social media hype and smoke and mirrors fundraising campaign being perpetuated by the anti-fracking movement to try to make the case that Ohioans are protesting oil and gas development is a farce. The fact is that for the first time in years, union halls are reporting “empty” because they have so much work (largely driven by pipeline construction) and schools and local governments are seeing millions from oil and gas taxes, lifting up the Appalachian region in ways that most people did not ever think would be possible. 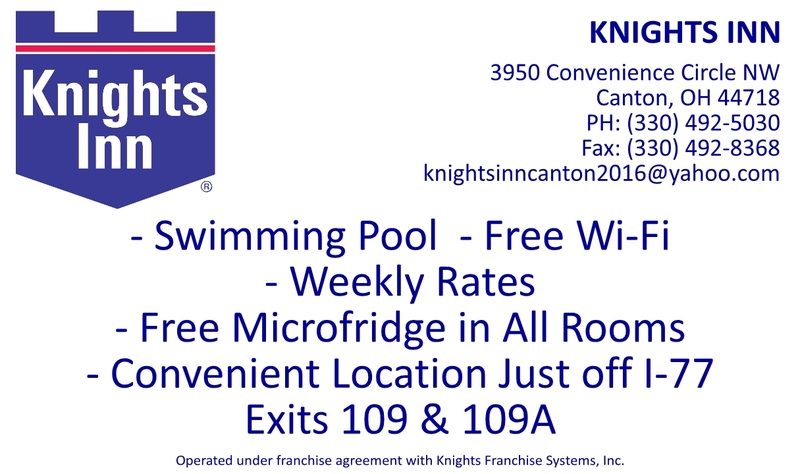 And most importantly, three Ohio-based academic studiesconducted by the University of Cincinnati over the past six years have found no evidence that natural gas extraction has led to groundwater contamination or air quality issues in Ohio exceeding U.S. EPA levels of health concern. United States energy dominance is real, and it’s happening right now in the Buckeye State, where it is a win for the environment and the economy.